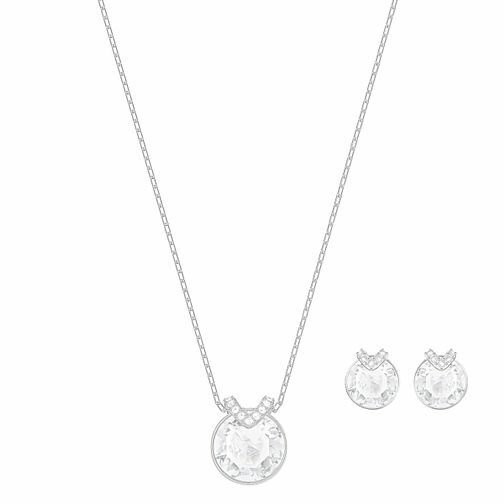 Simple, delicate and on-trend, this pendant features a large clear crystal in an oversized design. Perfect for everyday wear. With matching earrings.